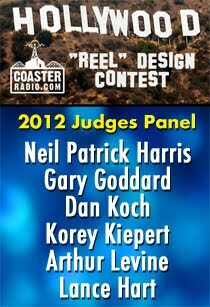 CoasterRadio.com - Theme Park Blog and Podcast: The "Reel" Design Contest Returns! This is the time of year when all of the different Hollywood blockbusters are being honored at the various award ceremonies. What does this have to do with theme parks and roller coasters? Well, many of the best theme park attractions in history have based upon popular films. Harry Potter and the Forbidden Journey, Back To The Future, Indiana Jones and the Temple of the Forbidden Eye, Jaws, Star Tours, Kongfrontation, Superman Escape, Terminator 2: 3D, Jurassic Park, Men In Black, The Amazing Adventures of Spiderman, Revenge Of The Mummy and countless other attractions have had their storylines adapted from popular movies. 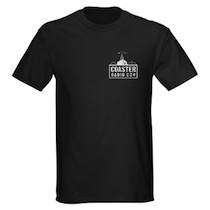 For our first contest of 2012, we want you to design a theme park attraction around the movie of your choice. 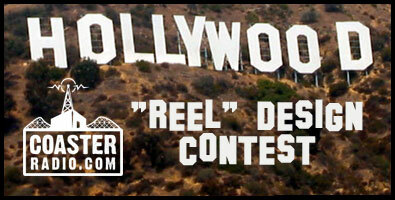 The winner will receive the first-ever "Reel Design"Award! YES! An actual award that has your name engraved on it! 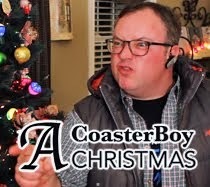 You'll go down in Coaster Radio history! 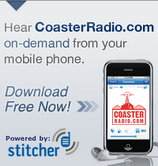 1) Write one or two paragraphs that describe your theme park attraction and e-mail it to feedback@coasterradio.com. Make sure your description includes the film your attraction is based on, the attraction's title, a description of the ride (including any storyline) and any other themeing or design elements that make it stand out. 2) Make sure the attraction is realistic. Don't send us details of an attraction that couldn't be actually built with today's technology and budget restraints. If we had to set a budget cap, it would be around 80 million. You can make your attraction a dark ride, a roller coaster, a flat ride, a walk-though experience or anything else you can imagine. Just make it realistic. 3) The entries that catch our attention will have a mix of imagination, creativity and fun. Remember, we'll be reading the finalists on a radio-style show, so your entries have to be descriptive and entertaining. 4) You can send in supporting materials if you'd like (such as drawings, sketches, No Limits and Roller Coaster Tycoon creations), but it will be the description of your attraction that we are most interested in. 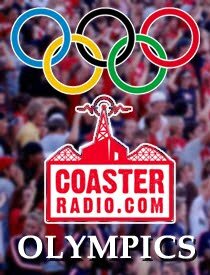 5) Ten semi-finalists will be chosen and will have their theme park attraction discussed on CoasterRadio.com. We will then narrow that down to three finalists who will have their attractions judged by a panel of industry experts. 6) All entries must be received by Monday, February 20th, 2012. 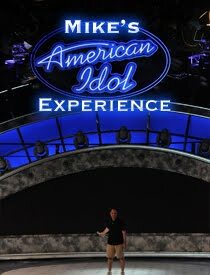 To get an idea of what this contest sounded like when he first did it in 2006, here is a link to that show! Sounds like a pretty cool contest! Awesome. This is the stuff I wish the other guy's would do. It's going be incredible now that more people know more about the industry and have access to online resources. Was just listening to te 2006 show. Such great memories and it's great to hear all of the ideas especially the Harry Potter idea. Love the comments from the CR team throwing out ideas for the queue for a HP ride. Especially now that we actually have what the guys were imagining. Also, was this the first appearance of Hagrid? Can't wait to hear this years contest entry ideas. you should make this an annual contest!!! The roller coaster club at my school would love to compete in it!